Through their intimate involvement with women's childbearing experiences, nurses have historically been witnesses to women becoming mothers from physical, psychological, and social perspectives. Over the past four decades, nurses, especially Rubin (1967a, 1967b, 1977, 1984) and Mercer (1981, 1985), have captured the development of mothering through empirical studies. The primary process involved is attaining the maternal role, which includes the development of maternal identity and role competency. This process begins during pregnancy and continues into the postpartum period. denial, and empathy are not exclusive to the maternal woman or to the mother-child relationship. And yet, together these actions within the matrix of affiliate bonds comprise the characteristics of maternal behavior which are seen as the bottom line." Rubin went on to claim that there is nothing preprogrammed in maternal behavior; it is the product of an interaction between the mother's past and interaction with the developing child. Rubin (1984) described the transition to motherhood as the development of the capacity for mothering. In her model there are four maternal tasks: (1) seeking safe passage for herself and her child through pregnancy, labor, and delivery; (2) ensuring the acceptance of her child by significant persons in the family of the child she bears; (3) "binding-in" to her unknown child and the idea of having a "real" child; and (4) learning to give of herself. These tasks occur throughout pregnancy and into the early phase of the postpartum period. Characteristics of each task are summarized from Rubin's work. In seeking safe passage, Rubin (1984) found that a woman begins in the first trimester to concentrate on her personal well-being. She becomes concerned with what she eats and will often stop using alcohol or drugs. Fears of what this pregnancy and baby will mean to both her body and her life will take shape. By the second trimester, the pregnant woman's concern shifts to the welfare of her unborn child. She will become more sensitive to the impact of the outside environment on her unborn child. Her fears revolve around the baby's well-being, and she begins to closely monitor the activity of her unborn child. She also becomes susceptible to traditional fears, old wives' tales, and stories about behaviors potentially bringing harm to the baby. As she enters the third trimester, the pregnant woman has begun to view herself as "one" with her child. She experiences the baby and herself as inseparable; psychologically they become one entity. The pregnant woman will often develop fears about both her baby's and her own successful navigation of the delivery. 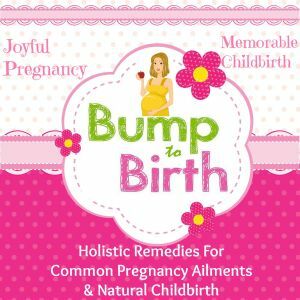 The third trimester is also a time during which the pregnant woman's increasing body size and decreased agility, as well as the pregnancy itself, become uncomfortable experiences. Psychologically she may begin to feel ugly, and normal events are perceived as dangerous to her. She avoids crowds, yet may dread being alone. By the eighth month of pregnancy she views delivery as a relief. She is hopeful that the physician or midwife will think she is about to deliver or will suggest she go to the hospital. False labor pains generally are felt in the last month of pregnancy, so she has continuous reminders about her transitional state. The pregnant woman finds herself constantly balancing the desire for the pregnancy to be over and her fears of labor and delivery. Rubin (1984) saw the second task of ensuring the acceptance of the child by others as one of the most critical. Essentially, this involves the mother's developing a place both physically and psychologically for the child within the family, the more difficult of the two being the emotional fit. It is necessary for the mother and other family members to adjust their relationships; bonds among existing family members have to be loosened and redefined. This work begins as the mother becomes aware of the growing child within her. She begins sharing with family members and friends her thoughts, dreams, and aspirations about the child. Fantasies about the unborn child are ideally shared between family members as a way of envisioning the reality of accepting a new family member. The mother's objective is to gain unconditional acceptance, therefore any conditional acceptances based on gender of the child or normalcy pose a deep worry to the mother because of the fear of the child's being rejected if the condition is not met. Binding-in, the third task, is a process that begins in pregnancy and generally results in a state at birth in which there already exists a bond between mother and infant. During the first trimester the binding-in begins with the acceptance and rejection process of the pregnancy. At first, even in planned pregnancies, there is the conscious processing of whether the mother really wants this child. We speculate that a woman does not seek confirmation of the pregnancy or prenatal care until she has come to an acceptance of the pregnancy. During the second trimester, the event of fetal movement evokes a special private experience. Use of technology may modify the expectant mother's psychological development. With the fetal image projected onto a video monitor by ultrasound and fetal heart tones made audible with Doppler radar, the pregnancy can be shared at a different level than previously allowed. Use of technology to enter the intimate and hidden environment of the womb can be a positive experience for some women yet have a dangerous impact on others (Solchany, 2001). For some women, seeing and sharing the images of their unborn child can be exciting and may intensify their feelings of love and bonding. For other women, seeing their unborn child in the early stages of development during which the fetus bears little resemblance to an already born healthy child can intensify fears and interfere with the development of love and bonding. The reality of the fetus does not match up with the fantasy image of a baby. Brazelton (1992, p. 5) suggested that the imagined baby parents tend to fantasize around reflects three different images: "the perfect four-month-old who rewards them with smiles and musical cooing, the impaired baby, who changes each day, and the mysterious real baby whose presence is beginning to be evident in the motions of the fetus." Not one of these matches fetal images. Physical changes associated with pregnancy, the growing fetus' activity, and the sense of "life within her" make the mother more especially aware of the child. The child begins to be real for the mother long before the child becomes real for family members and friends; they must await the birth. Pressure often begins to build during the third trimester as those around the pregnant woman begin to ask "when is the baby coming?" and "how much longer?" The mother is just as eager for her child to arrive, but continues to experience anxiety around her own and the baby's safety. Learning to give of oneself, the fourth task, begins in the first trimester as the woman begins to weigh the demands that pregnancy entails. The changes in body appearance, function, integrity, relationships, lifestyle, and life space represent both loss and change. The basic principle of what she needs to give up and what she will be gaining is evaluated during this time. During the second trimester her identification shifts to the child. Others bring special gifts to the mother for the baby. These gifts take on significant meaning for the mother as the importance lies not in the physical gift but in the meaning behind the giving—that the baby is being anticipated and will therefore be accepted into the mother's social circle. The third trimester brings to the surface the realization of the commitment required in giving birth. The danger of the delivery, the fears that the giving of self will be overwhelming, and that her capacity to give to the baby will not be enough are all commitments she is pondering. Mothers will often express the fear, "I can't do this!" during this period. Rubin (1984) saw these tasks of pregnancy as preparing the woman for her continuing maternal role as she develops classical maternal concerns and worries on behalf of her child. This maternal role is characterized by the long-term giving of one's time and interest in the form of enduring love, altruistic self, self-denial, and empathy. Mercer (1981, 1985, 1986) later explored the relations of women's personal factors and contextual-situational influences with the ease of attaining the maternal role. She (1985, p. 178) asserted that, "A woman defines maternal role performance in interaction with her infant and responds according to the situational context, her perceptions of her past and present experience and her values." Personal factors include physical health, self-esteem, birth experience, level of commitment, and competence. Contextual-situational influences include anticipatory socialization, separation from the infant, social support, and societal value of the maternal role. Mercer's (1981,1985) work on maternal role attainment extended beyond Rubin's (1967a, 1967b) primary focus on pregnancy. Because Mercer's work was not as grounded in the physical experience of pregnancy, it may help to explain the process of maternal role attainment for women becoming mothers through other avenues, such as adoption. Mercer studied first-time mothers during the early postpartum period and at 1,4, 8, and 12 months after birth. The endpoint of maternal role attainment was seen as maternal identity that encompassed confidence and competency in role performance. Mercer (1981, 1985) applied rigorous, quantitatively oriented research methods. She compared the process of maternal role attainment in three age cohorts over time. Each of the age cohorts represented clusters of personal and contextual factors that could enhance or hinder maternal role attainment. Mercer operationalized maternal role attainment as comprising attachment, competency, and pleasure and gratification in the role. Mercer (1985, 1986) found differences in these aspects of maternal role attainment across the age groups at different times of measurement. Feelings about the baby in all three maternal age groups peaked at the 4-month measure, coinciding with the height of infant social responsiveness. Gratification in the mothering role was initially highest for adolescent mothers and lowest for older mothers. Adolescent mothers reported a drop in gratification at 8 months, which continued to drop at 12 months. These drops coincided with challenging infant behavior such as separation anxiety at 8 months and increased mobility at 11 months. The older women (30 to 39 years of age) reported less gratification from the maternal role at each time point. Just the reverse was true for the mother's competency that was observed during the interviews. The teenage mothers demonstrated the least competency in role at all age periods and the older mothers the greatest competency. The least positive ways of disciplining the child occurred with greater frequency in the adolescent mothers. However, age alone does not account for differences in maternal role attainment among groups. Differences based on age are difficult to discern because of the presence of many age-related factors, such as level of education, stability in family life and other relationships, experience with competence in other roles, and socioeconomic status. In defining their comfort with the maternal role, only 3% of the mothers claimed to have internalized the role by pregnancy, 49% by 2 months after birth, and 95% by 12 months. There was no significant difference in the age cohorts in reporting achievement of comfort in the maternal role. In other words, maternal role identity develops broadly throughout the first year after birth. A few women do not have maternal identity at the end of the first year. Finally, a measure of role strain (Burr, 1972) reported items such as loss of personal time, gaining role skills, nighttime care and sleep, deprivation, total responsibility, and infant's changing behavior. The degree of role strain did not decrease over the first year; as some of the early challenges were mastered, the changes in the infant's behavior seemed to replace the necessary earlier adjustments.